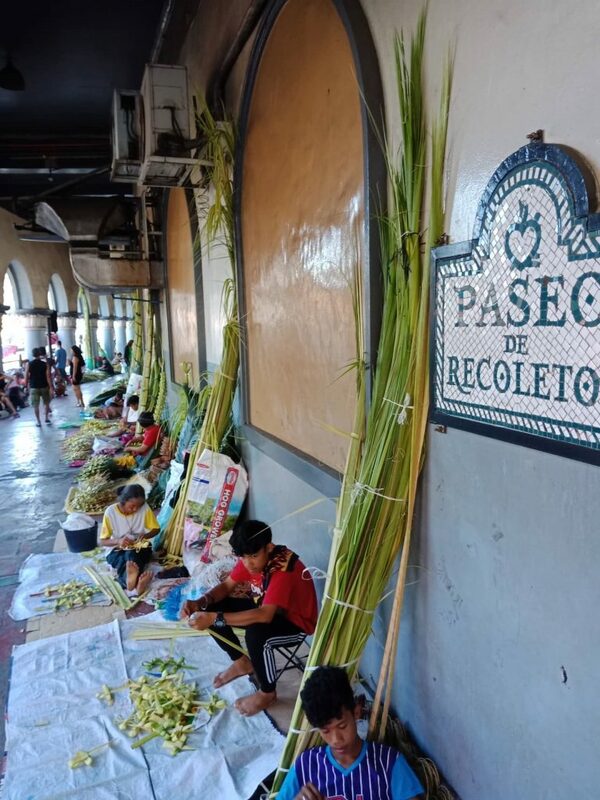 Today, with the celebration of the Palm Sunday and Passion Sunday, we begin the Holy Week. And this Sunday, according to Pope Francis, is “a bittersweet celebration” because it is both joyful and sorrowful at the same time. Joyful, because we celebrate the Lord’s entrance to Jerusalem as King, amid the rejoicing crowd (who cried out: “Hosanna in the highest!”). Sorrowful, because we also proclaim the account of the Lord’s Passion and Death (in which that same crowd shouted: “Crucify him!”). First is Luke’s emphasis on the bounty and mercy of Jesus in many episodes. One of these is in our Gospel today: “Father, forgive them, they know not what they do” (Lk. 23:34). He did not just bid his disciples to forgive always and unconditionally those who cause them harm, but Jesus himself gave the example. Second, the meeting between Herod and Jesus (Lk. 23:4-12). Herod here is the son of the more famous Herod who ordered the slaughter of the children of Bethlehem. He was not wicked like his father, but he was weak and corrupt. He imagined Jesus to be like an expert in magic (so when Pilate sent Jesus to him to have his opinion about the accusations, he was overjoyed and hoped to witness some magic tricks. To his dismay, Jesus did not utter a single word in his presence. Third, the meeting the group, among them were many women, who accompanied Jesus on the way to Calvary. Jesus met this group “who mourned and lamented for him” (Lk. 23:27-31) They were not guilty of what was taking place, and were mourning for the sins of others. In this season of “almsgiving”, how can we concretely manifest care and concern for our fellowmen according to our capacity (health-wise and resources-wise)? In what way can we perform some corporal and spiritual works of mercy? Fourth, while all the evangelists mentioned the fact that Jesus was crucified between two thieves (who were not just small time village thieves, but really murderers and criminals), and Matthew and Mark said that the two kept on insulting Jesus, Luke’s account is different. While one insulted Jesus, the other reprimanded his colleague, and calling Jesus by name, asked him: “Jesus, remember me when you come into your kingdom” (Lk. 23:42). The dying Jesus replied: “Today, you will be with me in Paradise” (Lk. 23:43). With this, we come full circle with God’s mercy and compassion especially towards sinners, the outcast. Remember that the Gospel of Luke begins with the poorest, the last, the impure in Israel: the shepherds. It continued to show us the Master among the publicans, the sinners, the prostitutes. Towards the end of Jesus’ earthly life, he was surrounded by two poor and unhappy people who had done much wrong in life. Now Jesus returns to the Father in the company of one who represents us all: a sinner won over by his love.